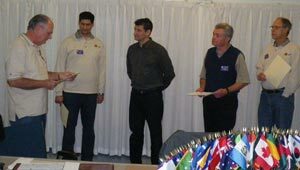 Chartered in 1966, the Mount Seymour Lions Club has hosted numerous community fundraisers, cooked and served food at literally hundreds of community events and provided hands on service to many local individuals, families and organizations. Our programs vary and are continually changing to meet new needs and greater demands, but our mission has never changed from living up to the Lions motto: “We Serve”. In addition to our other ongoing activities, our club was also responsible for the construction of three family housing projects in the Parkgate area and a seniors building in Deep Cove. We continue to manage all these complexes, providing a total of 199 affordable housing units to some 500 North Vancouver residents. Whether cooking at a food event or “shaking the can” at the Canvass for the Kids our members have a lot of fun while raising funds to help benefit our community. We hold dinner meetings twice a month where our members enjoy fellowship and conduct our club’s business. We also cooperate with other Lions clubs in joint projects, and it is always a pleasure to work side by side with members of other clubs. Through attendance at various Lions conferences and forums we share ideas which help our club and others in creating new ways to fundraise and support our local communities. Since 1917, Lions clubs have offered people the opportunity to give something back to their communities. From involving members in projects as local as cleaning up an area park or as far reaching as bringing sight to the world’s blind, Lions clubs have always embraced those committed to building a brighter future for their community. 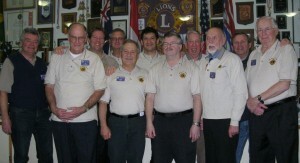 Mount Seymour Lions Club is one of 45,000 clubs in 200 countries. To learn more about Lions internationally please go to our Links page. To take an active interest in the civic, cultural and moral welfare of the community. To provide a forum for the open discussion of all matters of public interest; provided however, that partisan politics and sectarian religion shall not be debated by club members. WE ACKNOWLEDGE THE SUPPORT PROVIDED BY THE PROVINCE OF BC THROUGH GAMING GRANTS.